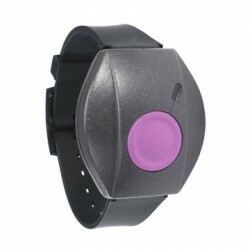 This GSM panic button and geolocalizer for the elderly , children and other people at risk , is an emergency button for people in danger situation based on the mobile phone network to transmit the emergency for the elderly, Alzheimer's patients or threatened persons, being also a GPS geolocator, sending an SMS to view the location on the map of any smartphone . With GSM wireless technology and GPS geolocation via SMS, this water-resistant GSM telephone connection panic button for the elderly, people with disorientation problems due to Alzheimer's disease, children, people in situations of threat or for moments of danger , is a very interesting solution for self-protection and personal security . 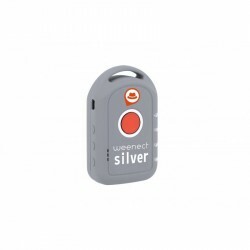 It is an emergency or panic button , which is also a geolocalizer of people , for individuals at risk based on the mobile telephone network to transmit emergencies for the elderly, grandparents, people threatened or in any other situation capable of communicating an alarm. fast, safe and discreet way. Based on GSM technology, it allows the sending of alarms through communication through mobile telephony, so it can be used outdoors, in homes where there is no fixed telephony, on the street, in the countryside or in the city. In short, anywhere with mobile coverage. It allows audio connection to speak as if it were an intercom or hands-free. Up to 5 destination emergency numbers can be programmed. Send and request the location or geolocation thanks to its built-in GPS geolocator. This will allow us to locate the person who "hits the panic" and contact her quickly. Designed among other applications, for people who may suffer problems of ambulation and / or disorientation caused by diseases such as Alzheimer's . Thank you very small dimensions this GPS geolocalizer It can be used discreetly and be worn on top even with rain or sweat as it is water resistant. It is common for family members of elderly or Alzheimer's to be concerned about loved ones who suffer from these health problems. With our GPS geolocator PAK50 tranquility will become the norm, since you will know the position of your relative at all times. There are no hidden fees or subscriptions, nor will there be any additional costs for this geo-positioning service, only the cost of the messages (which in many cases also ends up being free with the current telephone rates. The operation is very simple, since only the authorized telephone numbers have to be configured in the device so that by receiving a short message (SMS) we get the exact position of the user that we can interpret very easily if we have a smartphone. A telephone card of any mobile telephone company is inserted in the geolocator button , since the device can be understood as if it were a free GSM device. When the people geolocator is already configured with the phone numbers of the family members, at any time they can ask for the location and the device will respond in an SMS to the position by means of a URL to Google Maps and also by coordinates. The GPS geolocator is very precise, since when operating by GPS-based satellite location the margin of error is very small. In addition, this geo locator for Alzheimer's has SOS button that warns of the location to all preconfigured phones and spy function that allows you to hear what is happening around the geo GPS locator in necessary case. 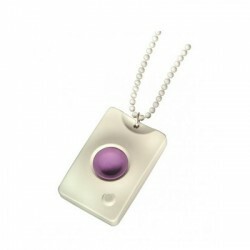 During your activities, your child can notify you in case of problems thanks to the SOS button on your pendant. You can even call him, since his panic device / geolocator works as a telephone. If your child is lost, he finds it easily thanks to real-time geolocation via SMS. According to various studies, 2 out of 3 parents regret the purchase of a mobile phone to their child. 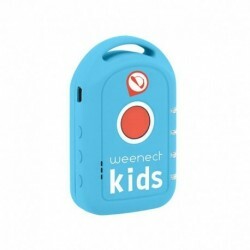 This device can allow you to avoid buying a phone too early for your child. Be calm for your safety and leave more autonomy. Our panic button takes care of your loved ones regardless of whether they are at home or abroad. 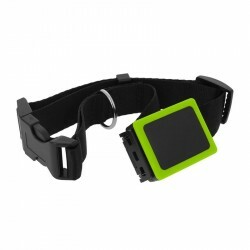 In case of alert, it receives your GPS position and can call you. Without any installation or distance limit. In case of problem, the family member can notify the predefined contacts (relatives, friends, neighbors) with the SOS button of his medallion, both inside and outside. Get your GPS position and you can call him. If your family member needs you, or if you get lost due to disorientation and / or suffering from Alzheimer's, you can easily locate it thanks to the real-time location via SMS. After pressing the panic button, the geolocator emits an alarm tone and a text message is sent to all the programmed emergency destination numbers (up to 5). This SMS message contains a link to a website that shows the last known location of the GPS geolocator, on the map of your mobile phone (smartphone). The GPS is activated to automatically determine your current location. Once it is determined, a second message is sent to all the numbers with their current location. The first programmed emergency number is called by voice, to give the prefixed voice. If contacted, a message will be sent. Once the caller accepts the call, voice communication is immediately established in hands-free mode with the possibility of listening. If it is not contacted, it is followed by a list order with the same procedure to the rest of previously configured destination numbers. Most pacemaker manufacturers recommend a minimum distance of about 20 cm between devices when a mobile device is turned on. In this case, we do not recommend using our alarm button around the neck: it is recommended in this case to use it hanging as a key ring on the pants or similar. In short, users who have a pacemaker should use the device considering it as if it were a mobile phone in terms of precautions for use. It is 5 unique VOICE MESSAGES (Available in English, French, German and Dutch): In some situations, the alarm button will play a spoken message. These brief messages are not reproduced in Spanish. NOTE: The battery is not really discharged when it notifies you to "Recharge", but as a security feature, it persists so that you do not forget to recharge and that you do not have the equipment with little battery. The panic button starts emitting recharge notification signals, when half of the battery starts to be used (that is, the other half of the battery charge remains). Because of its design, it is advisable to get used to charging the equipment every night. El modo autorespuesta ha de ser activado cada vez que queremos que autoresponda, Normalmente se activa para descartar que haya un problema real y tratar de hablar con el usuario. Hay que activarlo cada vez que queramos que se comporte asi, digamos que solo se activa 1 vez. Me llego rapido y comodo de un dia para otro. Manual en español. Tras sufrir una rotura en la base de carga, les estoy muy agradecida por la rápida solución y reemplazo de dicha base. No saben la satisfacción que dá obtener respuestas así, en un tema como este. Muchas gracias, por su atención amable y eficaz. Nos ha parecido muy util y facil de usar. Nos ha funcionado a la primera con una tarjeta sim de prepago de masmovil. La bateria dura varios dias.